* 1 business day processing is not available for work visa and non-US passports. ** Personal appearance at Chinese Embassy may be required for fingerprinting. Please call for details. 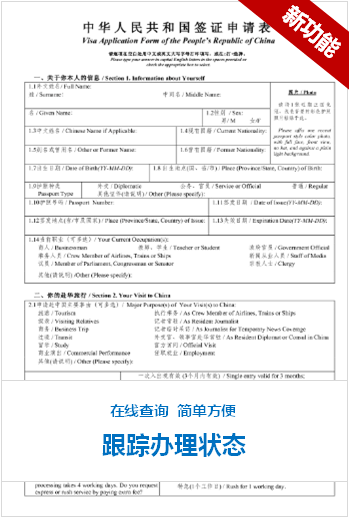 许多客户使用USPS Priority Mail（便宜且比较可靠）,您也可以使用Priority Mail Express,FedEx,and UPS..